Yesterday I was perusing some of my favorite blogs, and was excited to discover a new monthly series that's starting over at papernstitch called Print This. 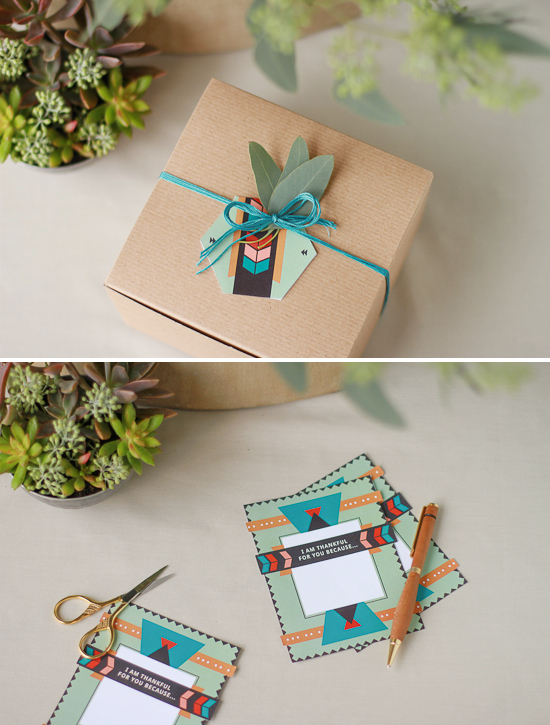 It features a free printable (which we all know I lurv), and for the first post the designer (from Create Like Crazy) made these Southwestern-esque gift tags and note cards and labels that can be used during the day of thanks, but any other time you want to let someone know they're awesome! So be sure and bookmark this new series...can't wait to see what else they come up with! Thanks for the shout out Beth. You're the best.